Melaleuca: 0. 2 percent. Inactives: 99. 8 percent. 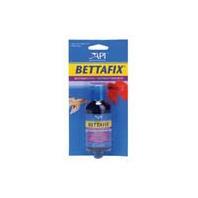 Mars Fishcare North America - Bettafix Remedy - 1.25 oz product is categorised under Wholesale Mars Fishcare products, Wholesale Pond Supplies, Wholesale Fish Medications.